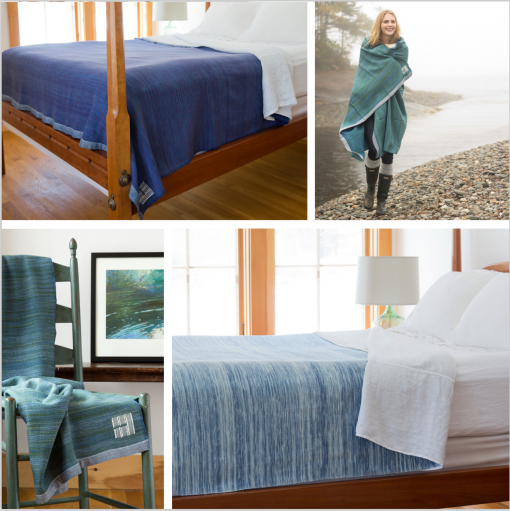 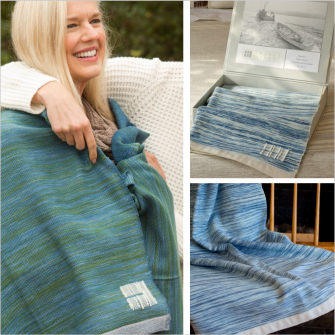 The Watercolors Blanket weaves together art and fine craftsmanship, inspired by the landscape paintings that capture Maine’s natural beauty. 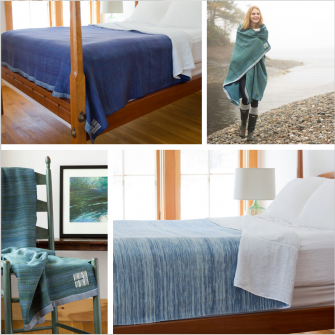 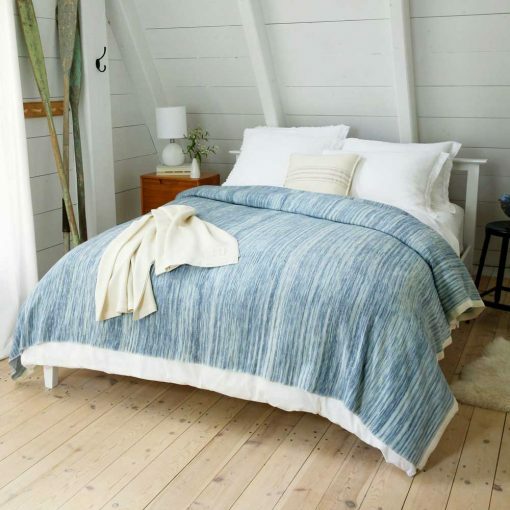 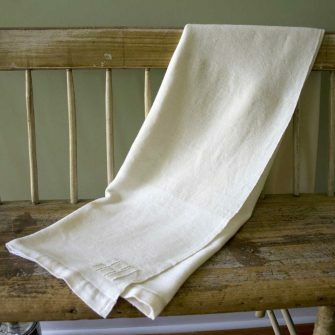 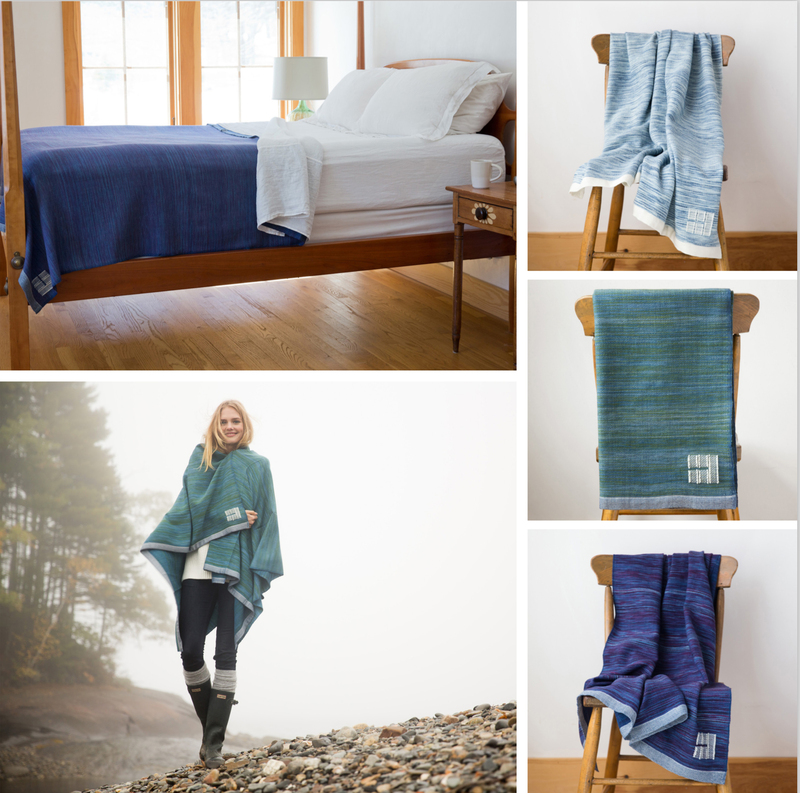 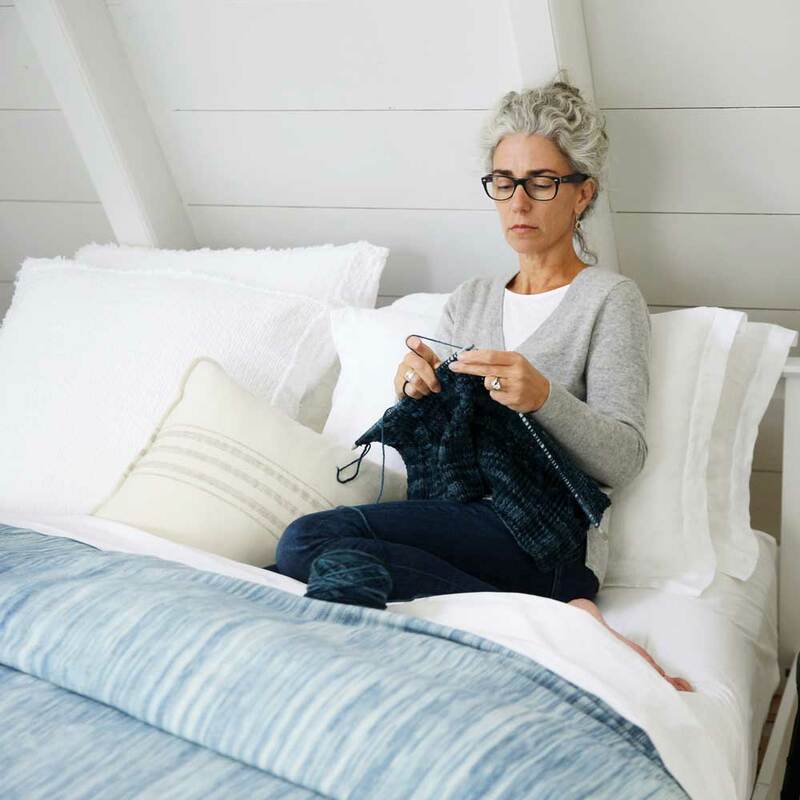 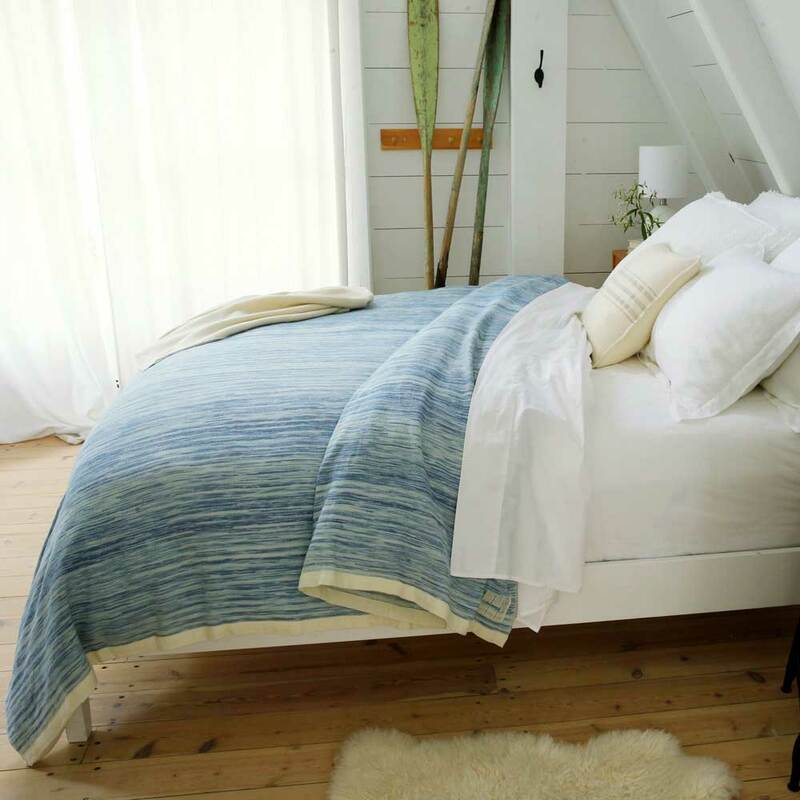 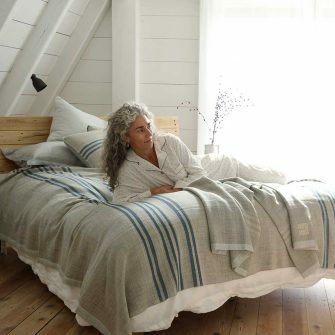 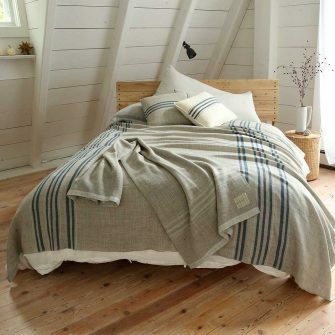 Each blanket is woven by hand with our incredibly soft, Ikat-dyed organic Merino wool. The rich, painterly transitions between hues suggest the variegated colors of light on the water. 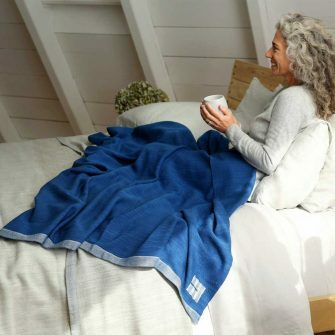 This unique Merino wool blanket will keep you cozy while adding a delightful splash of elegance to your home. SHIPS FREE through April 1. 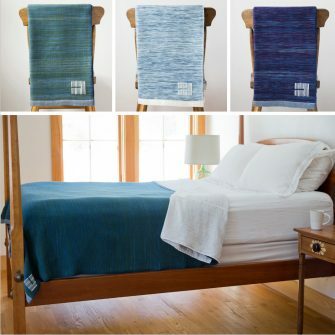 These blankets are woven with our Ikat Watercolors yarn, which is resist-dyed then saturated with indigo to create variegated, painterly shades on each skein. When woven on our looms, this color pattern recreates the movement and light of the freshwater that defines Maine’s interior landscape. 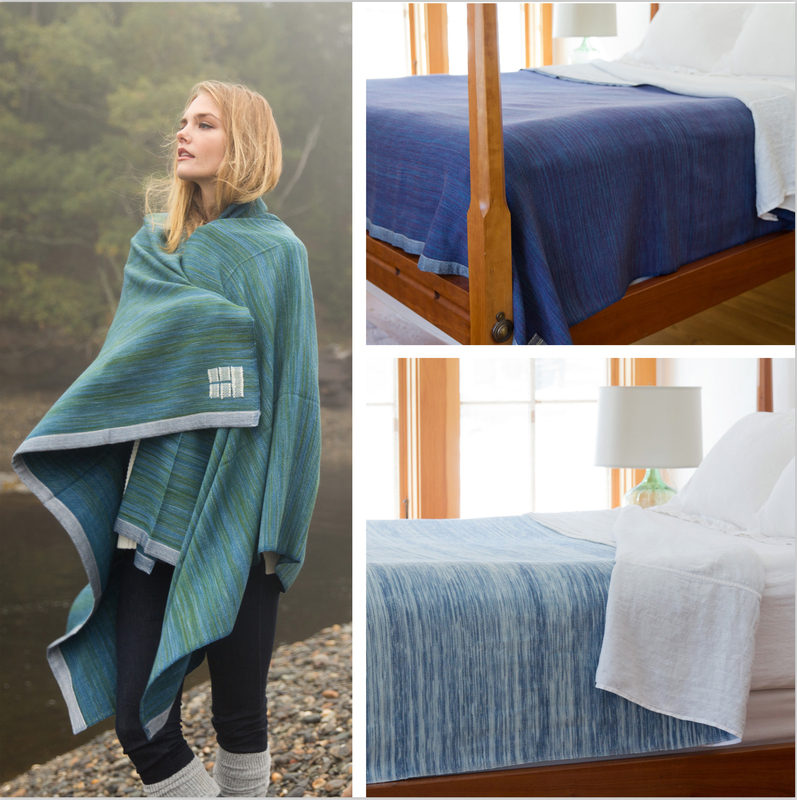 Because of our unique hand-dyeing process, no two blankets are exactly alike. 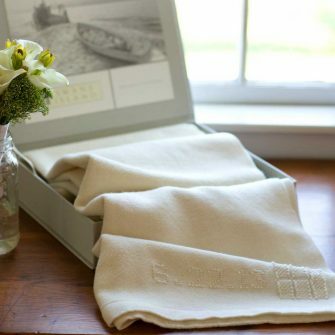 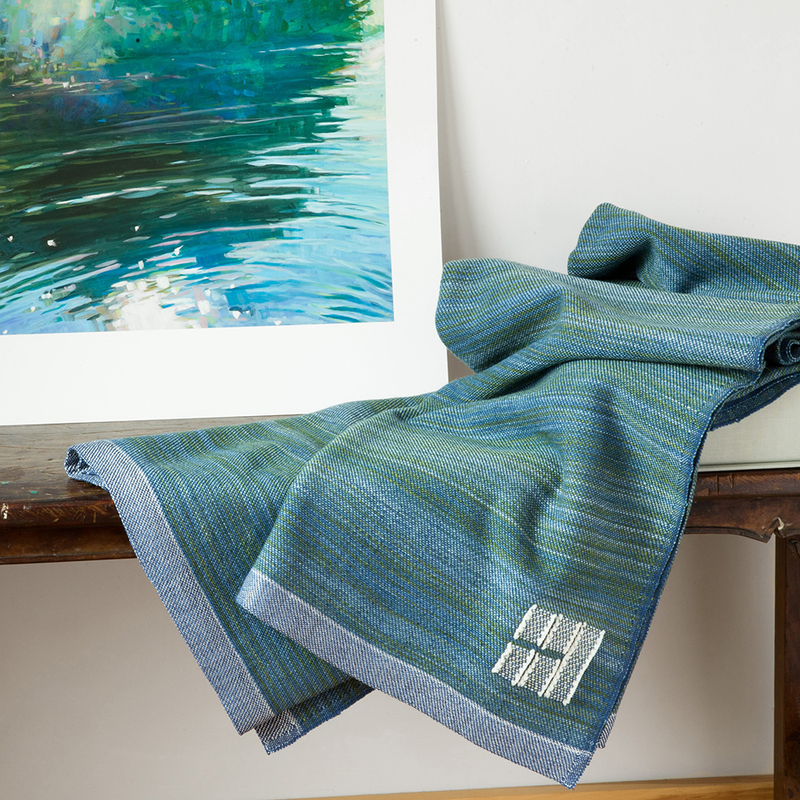 The Watercolors Throw is finished with handwoven silk edges and packaged in our signature linen gift box. 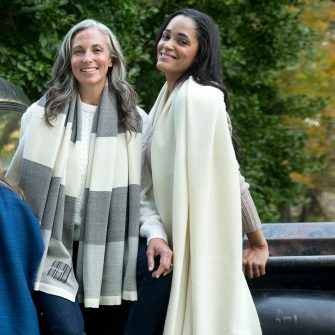 Content: 100% organic Merino wool, hand-dyed with natural dyes. 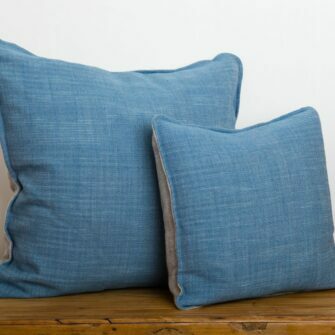 Silk trim. 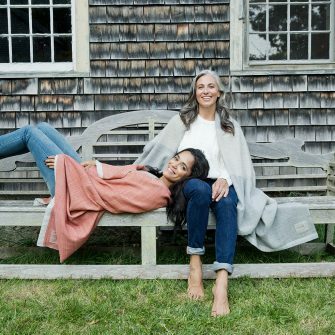 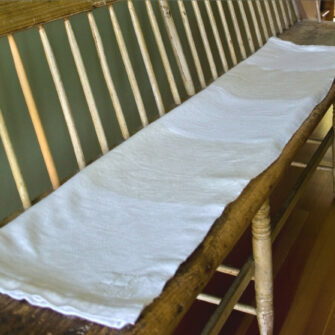 Origins: Woven and dyed by hand in Northport, ME.